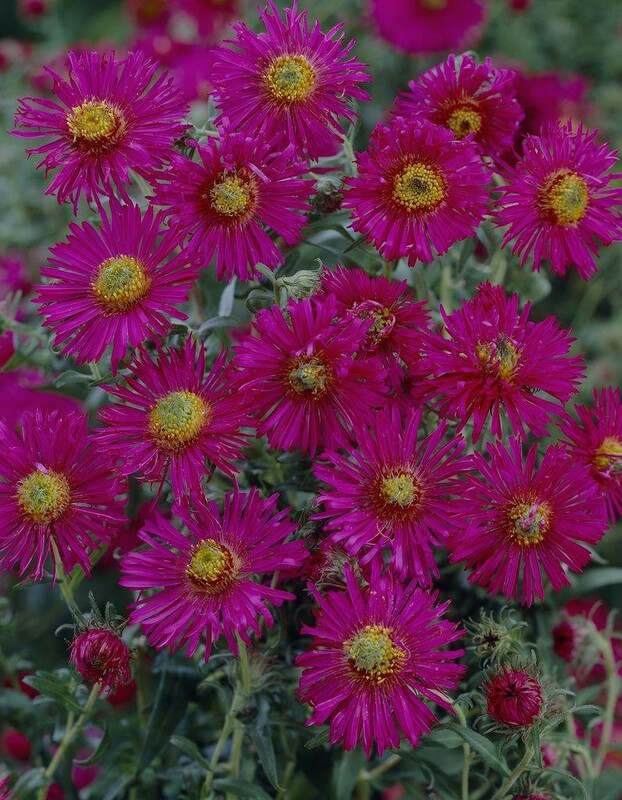 A pretty aster with bright lipstick-pink flowers from late summer to mid-autumn. It forms fine clumps of light green and slightly hairy foliage, the tops of its branched stems erupt into vivid daisy flowers. Excellent for autumn colour in middle or back of a fertile, moist, herbaceous or mixed border. It performs best in full sun and provides interest when many other perennials have finished flowering. Supplied in approx 3 litre containers.